Its safe to say that I am addicted. 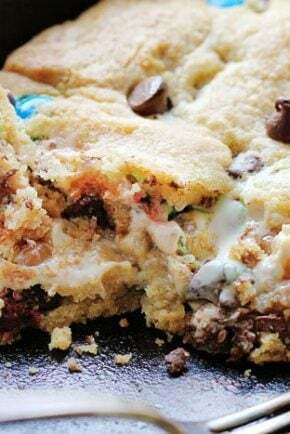 Ever since I made Halloween Crack I have been thinking (dreaming) of making it again. If you can eat just one piece and walk away then I want you to teach me your ways oh wise one. 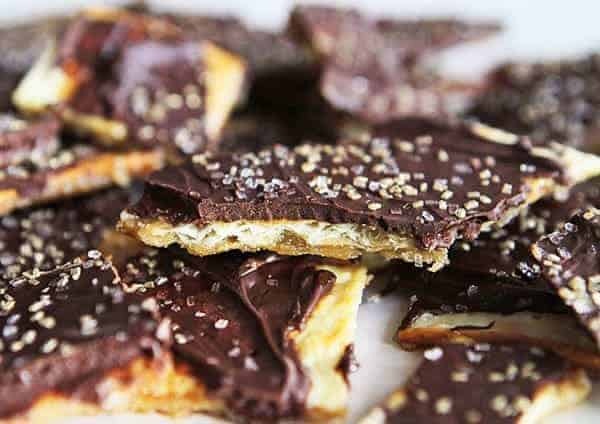 The rich buttery caramel over crispy crackers and then covered in chocolate is just about enough to do me under. Heat the oven to 425 degrees. Prepare a baking sheet by lining it with aluminum foil and spraying the foil with nonstick cooking spray. Arrange the crackers salt side down in a single layer on the baking sheet. Place the butter and brown sugar in a small saucepan over medium-high heat. Stir while the butter melts, and bring the mixture to a rolling boil. (about 3-5 minutes) Remove from heat and carefully pour the sugar-butter mixture over the crackers on the baking sheet. 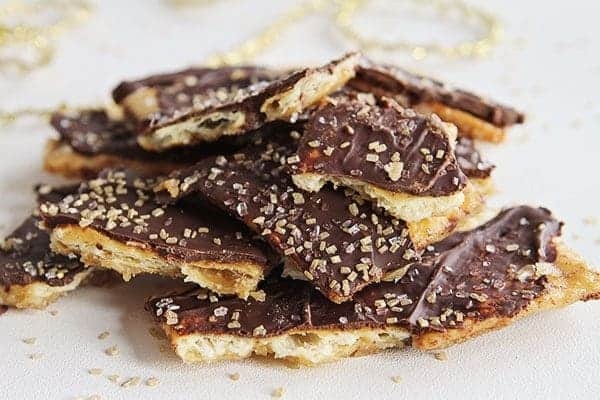 Bake the toffee crackers at 425 degrees for 3-5 minutes, until the toffee is bubbling all over. Carefully remove the pan from the oven. Immediately sprinkle the chocolate chips on top of the hot toffee, and allow them to sit for one minute to soften and melt. Once softened, use an offset spatula to spread the melted chocolate over the entire surface of the toffee as evenly as possible. Cover with holiday inspired sprinkles. Freeze the pan for about 30 minutes. Once set, break into small uneven pieces by hand. 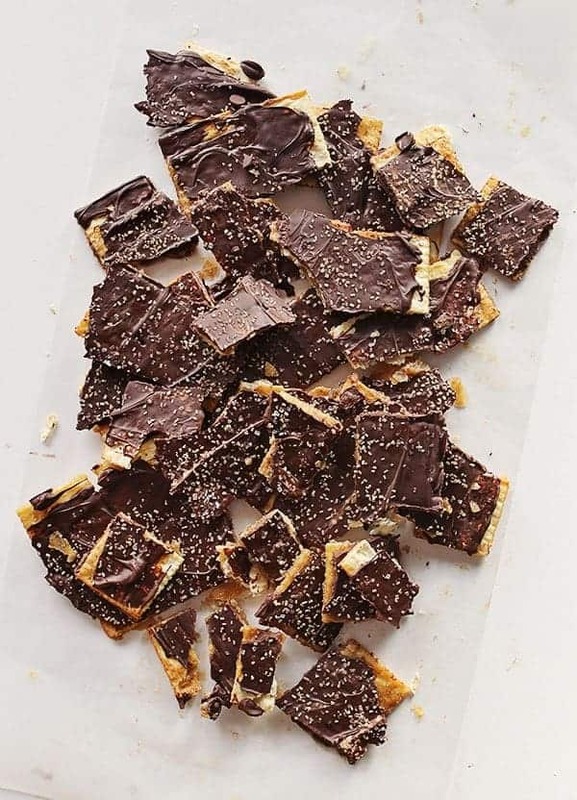 Store uneaten saltine toffee in an airtight container for up to a week. To make it socially acceptable for me to be making this I added some gold sprinkles. You know, because if I make it seasonal its not just considered binge eating. Right? 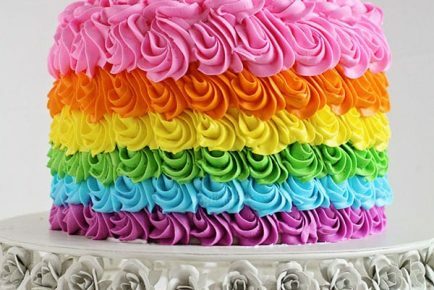 The sprinkles are easily found at most grocery stores, but you can order online as well. This stuff is addictive. Don’t say I didn’t warn you! And be sure to invite me over for quality sampling. Oh boy! I’m gearing up to get addicted too! This looks so good! 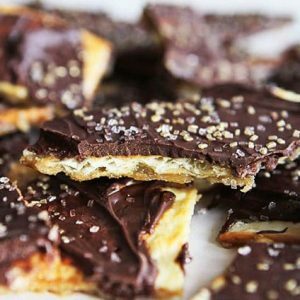 Using matzoh is a great idea! I made them and they taste great! I just had a question .. They were pliable and sticky at room temp, did I make them correctly? Did you chill them first? 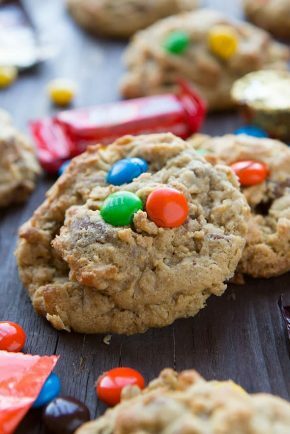 I haven’t had a sticky batch yet… is it hard to eat? If it is maybe keep them chilled? The carmel did not reach high enough temp, tac vs soft ball. Does this make enough to bring to a party, or should I double ingredients for a more suitable batch size? We made ours with pecans. Tasted great. I keep trying to think of ways to change the recipe, but unlike most recipes, this is a pretty amazing treat. 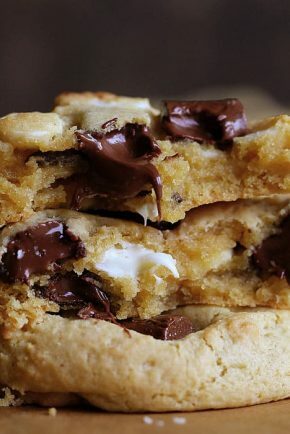 The heat wave in Melbourne, Australia has finally taken a break, so I am going to make some of this deliciousness. We don’t have saltines, so I am going to substitute a similar cracker that we have here. I am not sure that the size of the packets are the same though, so I was wondering what size baking sheet you use? I am thinking if I just cover the same area, it should be ok? Use a rimmed cookie sheet or jelly-roll pan. 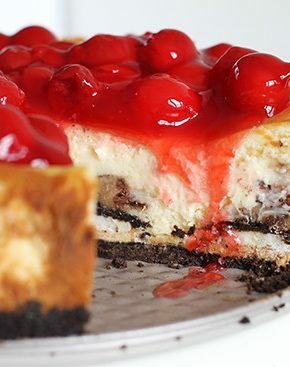 I’ve made this exact same thing with graham crackers and chopped pecans on top. So good!! I used both milk chocolate and dark chocolate and I used a glazed peanut (pulverized) and sea salt for the topping. Lastly ilje using Graham crackers for the bottom.